Eatzi Gourmet Bakery is owned by JP Pepperdine Group, the holding company that owns the Jack’s Place Steakhouse and Restaurant chain. It was first established in 1986 under the name Jack’s Cake House, and quickly became known for their signature mango mousse cake. After obtaining Halal certification in 2006, Jack’s Cake House was renamed Eatzi Gourmet Bakery. 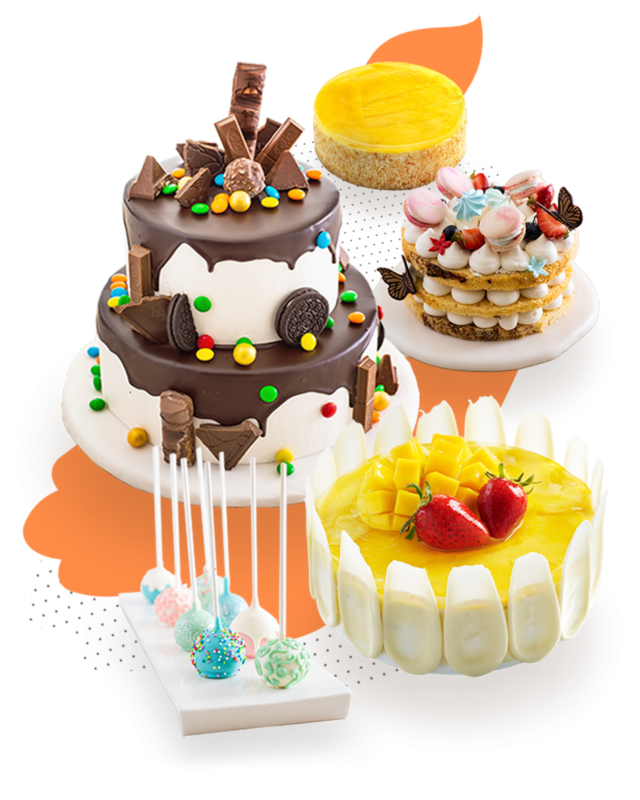 Today, Eatzi Gourmet Bakery specialise in creating cakes that are perfect for all occasions! Using the finest ingredients, we create customised cakes, cupcakes, dessert tables and cookies so you can celebrate in style. Handmade with love, we work with every customer to create a memorable and delicious cake for any celebration. Cakes for your birthday, baby full month, wedding, office birthdays, special occasions, holiday cakes and more. All cakes can be ordered via online, hotline or at any Jack’s Place, Eatzi Gourmet Steak House & Bistro or Yeh Ting restaurants. Collect your cakes at any of our restaurants or have it deliver directly to you. Free delivery for orders above $120.